I watched such a good film this week, The End Of Love. It might not be to everyone's liking but I really liked it. 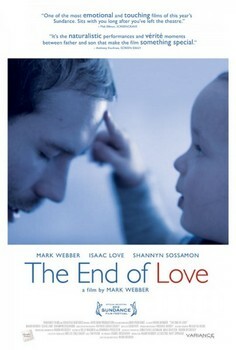 It's called The End Of Love, written, directed and starred by actor Mark Webber. But actually he isn't the star of the film .... Isaac is! and knowing that it premiered at Sundance (I love a good Sundance film). 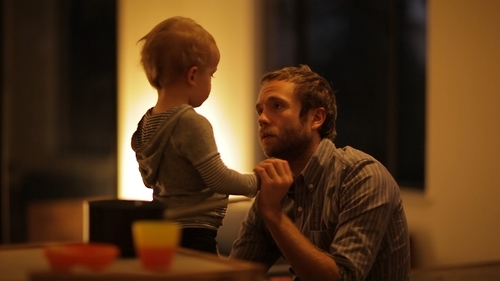 The End Of Love is a story of Mark, a struggling actor and his relationship with his 2 year old son Isaac. 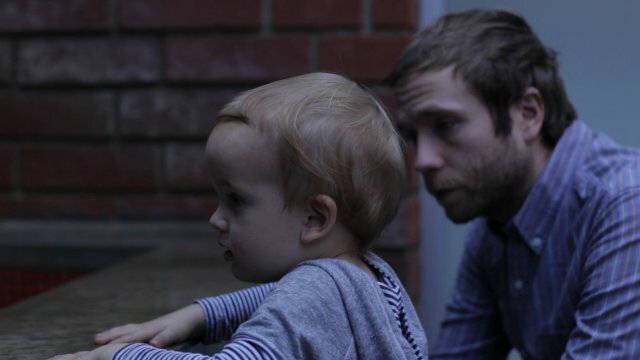 Isaac's mum passes away unexpectedly and we go on the journey of Mark grieving whilst coming to terms that he is now raising his young son alone. What is incredible in this film is Isaac. 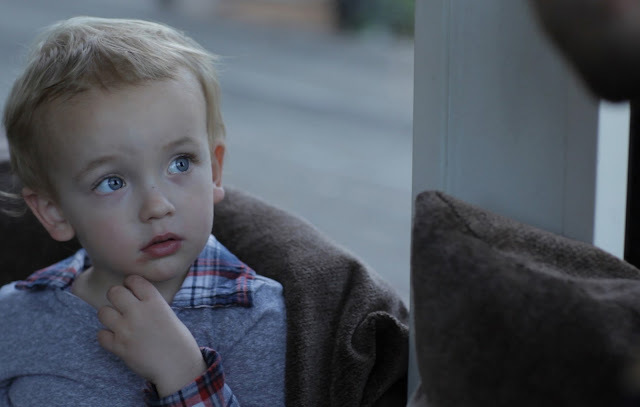 He couldn't be any cuter, a gorgeous little blonde who is so inquisitive with lots of questions for dad. I kept thinking what a great little actor but how at that age can he do that? I guess it helps to be working with his own dad! and an intensely personal film. Mark, you mentioned in a previous interview that your son Isaac doesn’t have the ability to be false because he’s in the present all the time. How did you use that to your advantage while shooting this film? MW: It was nine parts really hard work and one part crazy magic. As his dad, I understand his rhythms throughout the day and I know his moods. 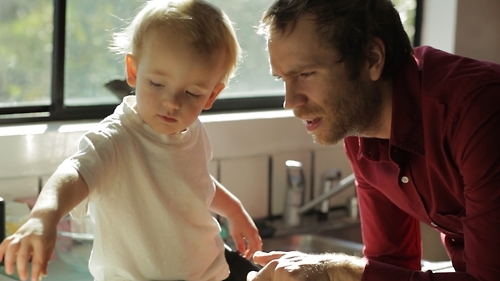 Early on during production, I let my producers know that we had to build this whole movie around my son. If he’s feeling a little cranky one day, it would be a good idea to utilize that for a certain scene. Everything had to be scheduled around Isaac. It was so exhilarating. The conversation that I have with my son at the end of the film about life and death, I had been saving that conversation. I only had that one opportunity and we could never repeat it. If the cameras didn’t work or something went wrong, we simply wouldn’t have it. MW: Isaac’s not here because I don’t want this to be the beginning of his career. let alone that it would end up at Sundance. If you like a story, a real story in a movie then this is a film you might like.